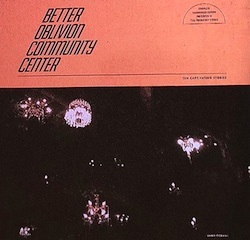 Is this the album cover of the new Better Oblivion Community Center album? This according to Brooklyn Vegan, which added that CBS This Morning anchor Anthony Mason tweeted what appears to be the album cover last week. And a YouTube video tweeted by Oberst today indicates the new project will be announcing tour dates next week. Tune in tonight to see who else is in the project. Dayton self-proclaimed jam band The Werks plays tonight at The Waiting Room. The band plays a throwback style of ‘70s prog rock mixed with funk elements and (at times) reggae beats — translated: They’re a jam band, right down to encouraging taping of shows a la The Grateful Dead. Omaha jam band Slow Stoics opens at 8 p.m.; $15.